Jordan took the time to interview us about our club. He researched East Texas and even the local community where the club is located. He used that knowledge to come up with a crest that fit us perfectly. Strangers stop me all the time when I am wearing to tell me how cool it is. Our players, parents and sponsors all love it. We’ve been looking to create a crest for quite some time in order to brand ourselves a bit more within the soccer community. The final product Jordan created for us exceeded all expectations and the quality of the work was more than we could have asked for. 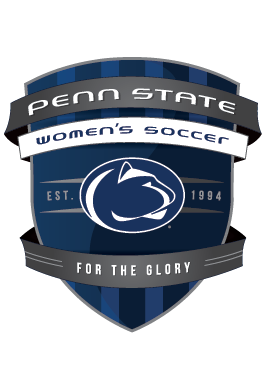 We’re excited to be able to have a crest of our own and use it to brand Penn State Women’s Soccer. Our organization could not be more pleased with the work that Jordan put in on our team crest. He was able to incorporate the history of our region into a simple but modern design seamlessly. It really pops and we’ve received nothing but positive feedback on it. In our attempt to create a brand, Jordan quite simply, took us took another level with his creativity and originality. Jordan was amazing to work with. He was very collaborative and did a good job of taking what we wanted and putting it together. He worked very quickly and efficiently and I would not hesitate suggesting him or even using him again if we need. On top of all his professionalism, the product was great!​ I reached out to him in an effort to help us brand our team and have a more cohesive image. Jordan's work brings our club up to the next level and sets us apart. a pro franchise with the new crest. We hired Jordan to design our new crest when I took over a program that had been struggling for years. He is very professional and his work is outstanding. Our job was done on time and he was great in making edits and providing service even after we paid. I'd recommend him to anyone who wants to give their team a great crest that will be a lasting source of pride. The crest that Jordan Fretz designed for us has been a key factor in establishing Greenville Eagles Football Club as a credible professional organization in our community. We have used the crest extensively in our online presence, on our uniforms, and to promote our own teams, leagues, clinics, and camps. Jordan Fretz continues to support us as we grow and develop, and we have returned to him for additional designs. We highly recommend his work to anyone who is looking to establish or promote an organization of excellence. I came across Jordans Crest looking for a quick, professional crest for our new soccer club. That is exactly what we got! The turn around time was quick, and all the input was put into the final crest. CV United is more than pleased with the service and art work provided. It was exactly what we were looking for and have gotten many compliments on our Crest and colors as suggested by Jordan. We strongly suggest using Jordan and we have recommended him to other clubs already. best design they had ever seen. We needed a graphics artist to create our soccer agency logo and crest for our soccer club. However, Jordan was instrumental in helping us achieve, within budget and time constraints, much more by creating our entire company branding. We're extremely happy with our new business look. The final crest was fantastic! We enjoyed working with Jordan and the crest was completed in a timely manner. He handles himself professionally and did make changes to ensure that we were completely satisfied with the final crest. I highly recommend using Jordan Fretz for your business needs. Our staff couldn't be happier with the crest that Jordan designed. Jordan incorporated design elements that truly display what makes our tournament unique. I believe branding your program with a custom crest or logo is truly essential to creating a team identity. Their is certainly no one better at creating custom crests than Jordan. We will continue to have Jordan design any of our future crests and logos because his work is absolutely impeccable. image for our club crest. Jordan took our ideas and made them something significant to our community. We are thankful for his talent and professionalism.